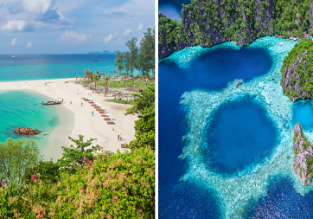 Cheap flights from Italy to Phuket, Vietnam, Hong Kong and Bali from just €341! Cheap flights from Italy to Thailand, Vietnam or Indonesia from only €341! 8 nights B&B stay at top rated 4* hotel in Bali & 5* Singapore Airlines flights from Milan for only €496! Italy to Jakarta, Indonesia from €382! Many Italian cities to Thailand or Indonesia from €347! SkyTeam Alliance partners have launched a sale from many Italian cities to Bangkok and Jakarta with rates starting at €347 for a round trip!